Safety and security of the property refurbishment is one of top priorities therefore each project consists from written contract. Mogio make sure costs and timescales are defined clearly and expectations are realistic and managed. Final stage (4) payment will be made once the work has been inspected both by the client and the builder and both parties are satisfied that the work is completed satisfactorily. 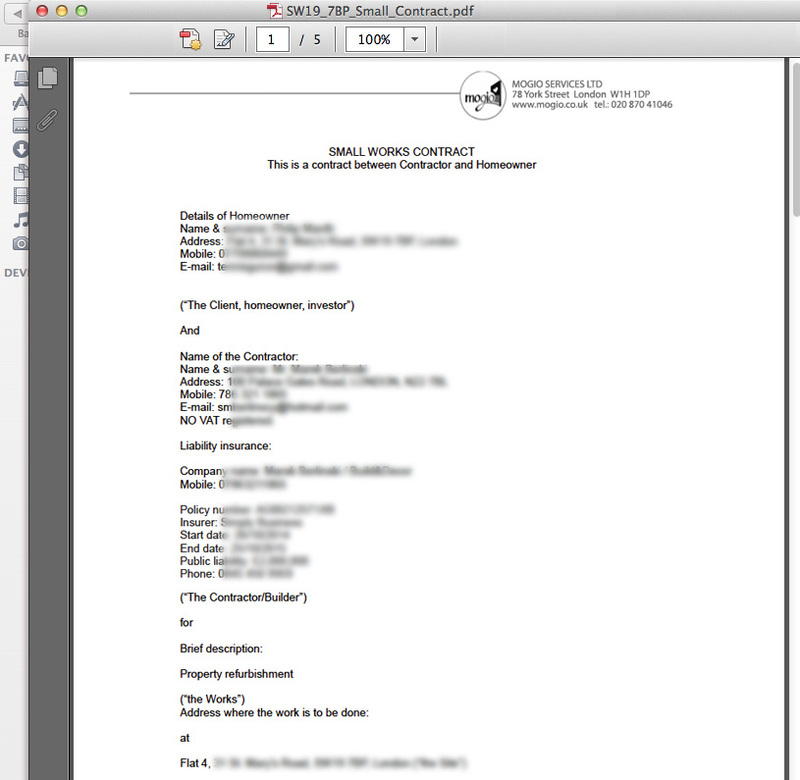 The inspection and full payment should be within 3 days of the builder notifying the client that the work is complete. The builder agrees to guarantee that all work and workmanship be of a standard. 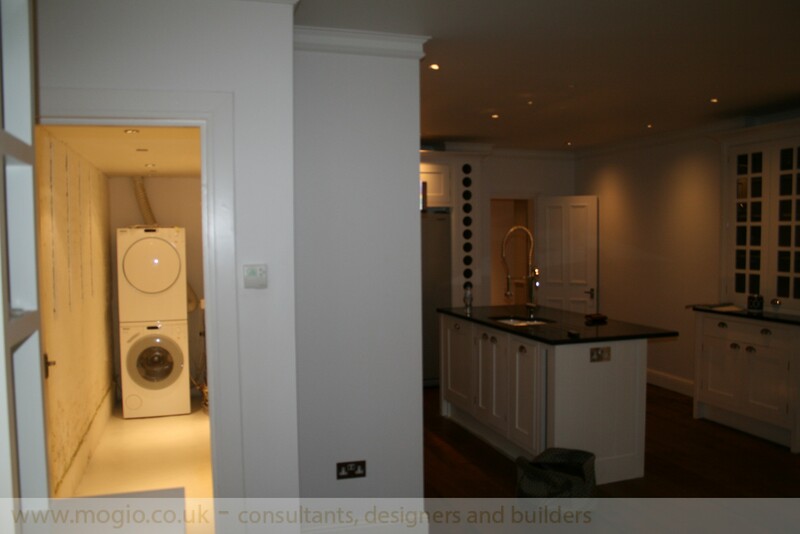 Mogio Services is among the finest home refurbishment companies in London. For 1 2 3 bedroom flat refurbishment you can obtain a fixed cost quote with additionally provided contract consists the whole project. 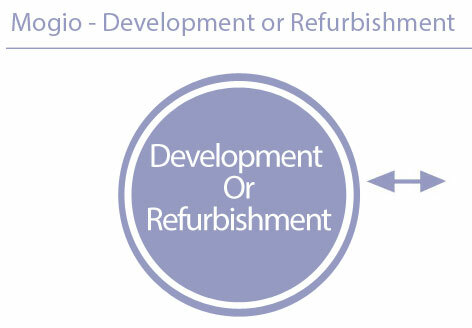 Take a look at recent flat refurbishment in Hammersmith or budget remodel in Putney so, which stage you’re at in your development? 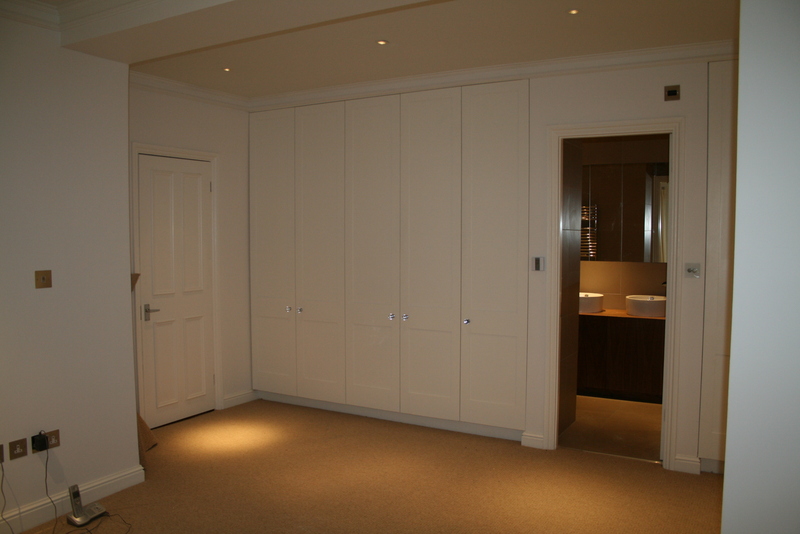 We provide a full range of home and flat renovation and refurbishment services. From painting and decorating, to replacing floor. Our shower sets are complete series different performed shower trays and shower kits all manufactures from Aqua boards. All shower trays slope to a central or offset drain, which is supplied as part of the kit, to allow the water to run away. Once installed the wet room kit can be tailed the normal way. The board is installed instead of plasterboard or wooden sheet and is simply screw fixed directly onto wooden stud-work or brick/block work. The boards are all 600 wide so they are easy to handle and where a special tape is used to waterproof the joint. Removal and dispose wall and floor tiles; removal and dispose units: bath, toilet, washbasin; plumbing for new bath, toilet, washbasin and radiator and installation of all units; tiling all walls and floor; building bath panel and tile over; fitting bath screen; fitting accessories. Choosing Mogio kitchen specialist will be the right choice. We can provide the full service to create you new kitchen including: plumbing; decorating; tilling and; unit and worktop fitting. Working to your exacting standards is a challenge we’re up for. We finish on budget, in time. Mogio provide a full range of home renovation and property refurbishment services for home interiors. From painting and decorating, to replacing floor paneling, we will accept any orders and relish the challenge of any project.